Every month we’re profiling one of our members. This month, we’re featuring Renata Pilotto! Renata Pilotto has been a member about 6 months. She volunteers in the Nifty Thrifty Rummage Room, the Gift Shoppe, at the front desk, and during our Friday Bingo games. She retired from a job with the state. She enjoys working in the Gift Shoppe the most, saying that she enjoyed playing “Store” as a little girl along with her sisters, which is why she enjoys selling in the Gift Shoppe and also in creating attractive displays. Renata says that the center has given her the opportunity to meeting new people and listening to their life experiences. Hi, my name is Renata and I manage the SSSC Gift Shop. 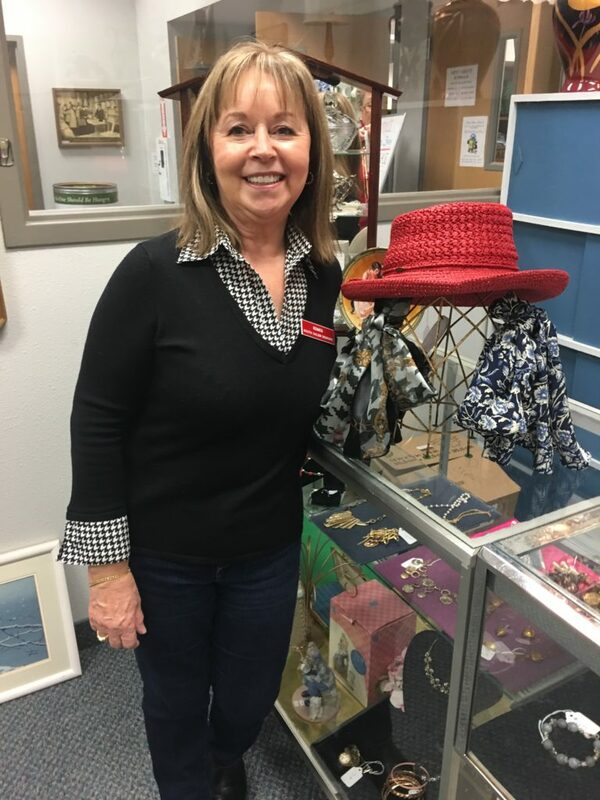 I came to the center six months ago and since then I have been volunteering in different areas such as the front desk, bingo, gift shop, rummage sale and events such as the holiday bazaar. I have met some wonderful volunteers and members, and I enjoy talking to them. I am a proud mom of a daughter who’s a Major in the US Air Force and a Navigator. After working forty years in accounting, I enjoy not having to deal with numbers and deadlines and that’s why I like working in the Gift Shop the most. There, I can be creative by displaying and re-arranging items and also playing store as I did as a little girl by selling things. The gift shop has many collectibles, glassware, jewelry and other interesting things that I’d be happy to show you. So please come by the gift shop and say “ciao!” We can speak Italian or talk pasta and you may find a little treasure.